The options are endless when it comes to having Frozen Fresh Fruit handy in your freezer. I’ve gotten into the habit of buying extra fresh fruit from the grocery store whenever it’s on sale so that I can wash and freeze some for later use. Bananas, raspberries, blueberries, blackberries, pineapple, mango, grapes, and strawberries… I have them all… washed, cut, and frozen, ready to be used. 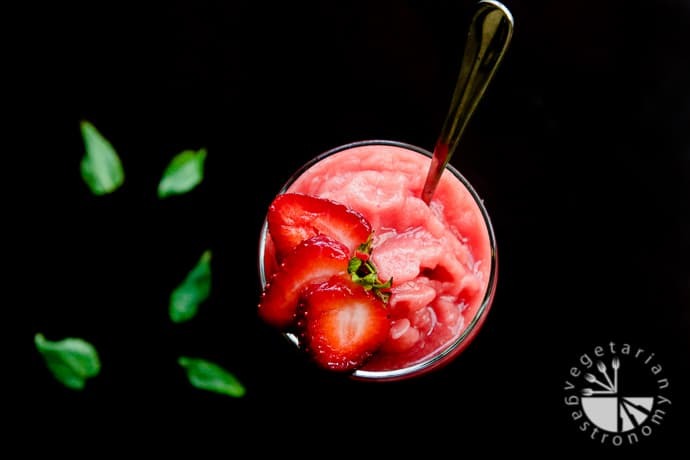 Typically, in my house, we use frozen fruit to make our Green Smoothies, Banana Peanut Butter Ice Cream, Fruit Sorbets, Blueberry Banana Breakfast Cookies, and Dark Chocolate covered Banana Treats. Two weeks ago, we celebrated my daughter’s 2nd birthday at our community pool (details of the birthday coming to a post soon). Instead of making a bunch of appetizers for the birthday, I decided to keep it simple and make my Chunky Tomato Salsa, and serve a wide assortment of fresh fruit. I don’t know about you, but I’m always craving fresh fruit on hot summer pool days. After the party, I ended up with a lot of leftover watermelon. Naturally, the first thing that came to mind was… FREEZE IT! I had never used frozen watermelon before and thought it would be fun to experiment with it later in the week. Watermelon is unique in that it contains about 6% sugar and 91% water by weight. So I decided to develop a frozen treat, similar to an ICEE, but much healthier! I turned to my Vitamix and decided to use the same method I used to make my Peanut Butter Banana Ice Cream. Instead of getting a creamy texture from the frozen bananas, I knew I’d get a slightly icy texture using frozen watermelon since it contains so much water. 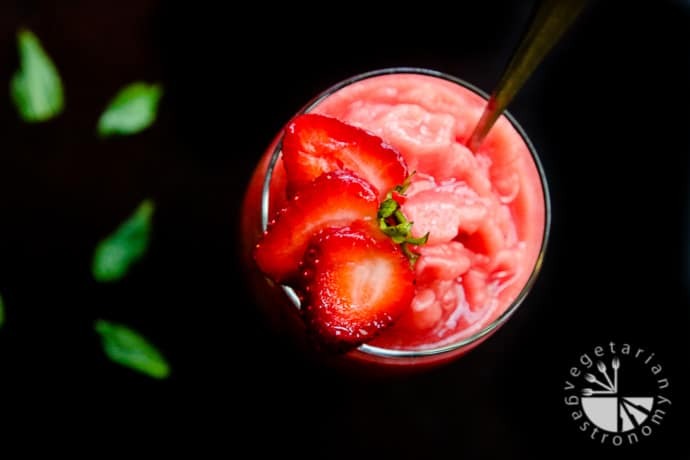 After experimenting with different combinations of fruit and other ingredients (such as bananas and lemon juice), I came up with this refreshing Watermelon Strawberry Mint Freeze. 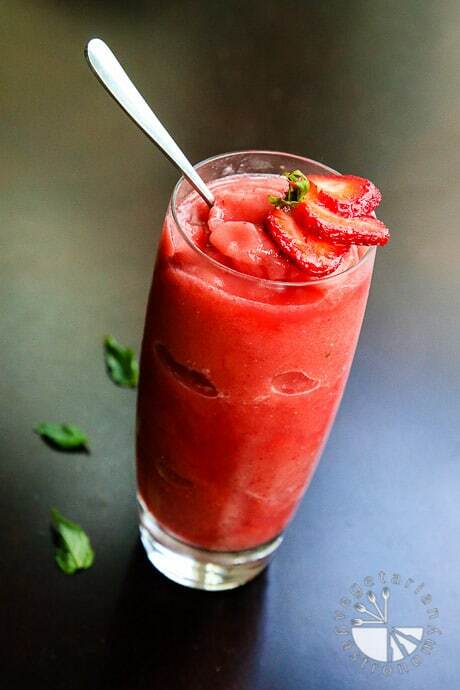 It contains 4 ingredients: frozen watermelon, fresh strawberries, mint, and coconut water. 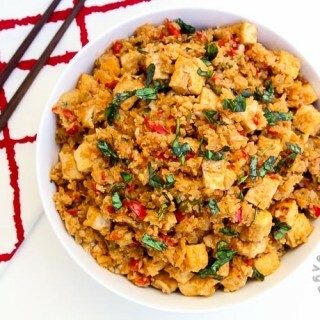 I was not a huge fan of adding bananas to this particular recipe because of it’s overpowering flavor and creaminess; and the fresh lemon juice added a slight element of bitterness. 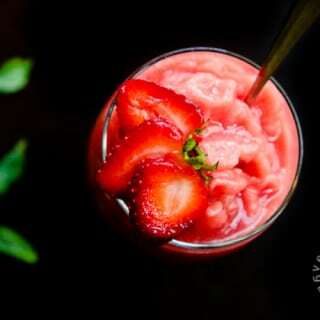 However, adding a few strawberries and mint leaves to the mix really enhanced the overall flavor. The three flavors combined with a little coconut water gives a burst of cool flavor to a delicious summer treat. 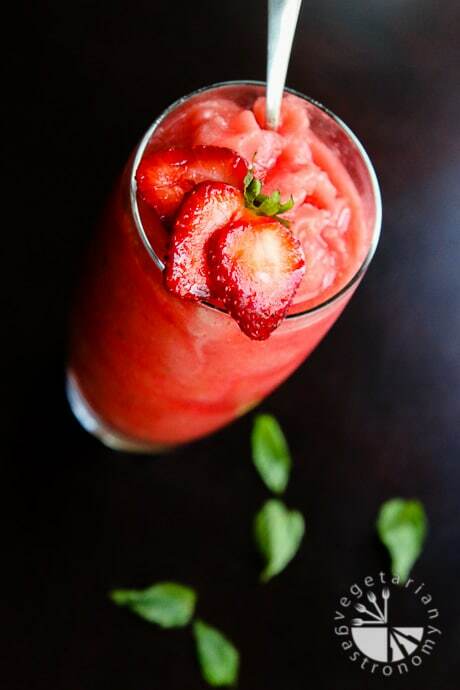 This Watermelon Strawberry Mint Freeze tastes just as amazing and refreshing as it sounds. 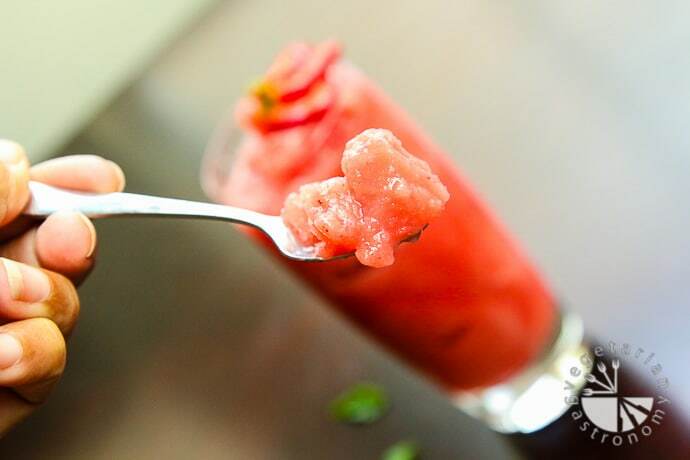 So remember those cubes of watermelon I told you to freeze on my Facebook and Instagram Pages while I was in the process of developing this recipe? Now’s the time to pull them out and make this cool summer treat. On a bit of a sad note, these past few days have been tough for me. My kids and I were visiting my mom this past week. Since I haven’t lived in the same town as my parents for the last 10+ years, I was not used to seeing my dad everyday, as were my mom and brother. I came to realize late last night that I’ve made myself believe that my dad is away on travel or vacationing, instead of coming to terms with the fact that he is forever gone. Sometimes I think that I will see him again soon when he comes back. How do I make myself realize and accept that my dad is no longer with us? Last night as I was looking through pictures of my dad, and I really had to stare at his face to convince myself that he is no longer with us and that I will NOT be able to see him again. I broke down. I know I need to accept reality, but I don’t want to. Last night was difficult… I could not sleep… I did not want to sleep. My stomach drops every time I think of the truth that my dad is GONE. At times like these, I try to think of how fortunate I am. I’m fortunate for the loving support of my family and friends, for our health, and for the precious time we had with my dad in this life. Everyone moves on from losing someone they love, and everyone gets through it. 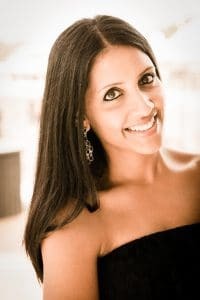 Life goes on… and my dad would have wanted to us to be happy and smile. I need to keep reminding myself of that and keep thinking positive. Two years ago: Thomas Train Cake! It's the easiest way to enjoy a frozen treat! 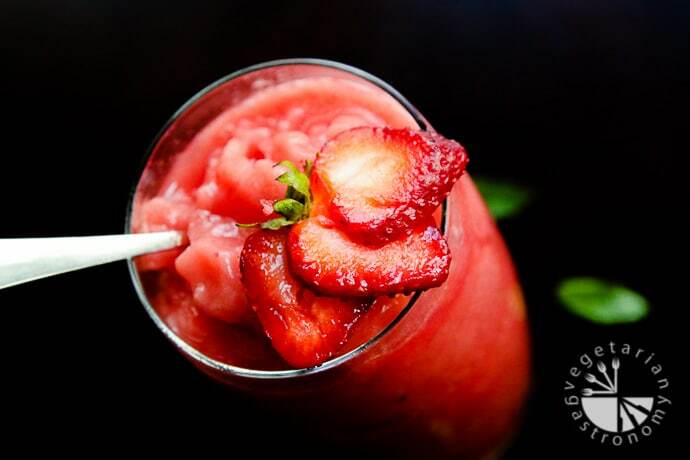 Freeze fresh fruit and blend to make a healthy version of a slurpy! 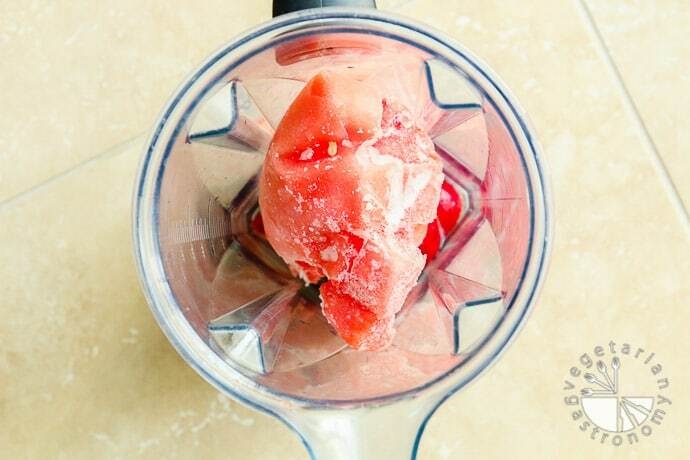 Remove the frozen watermelon cubes 5 minutes prior to making this recipe. Place all the ingredients into a powerful blender (such as a Vitamix). 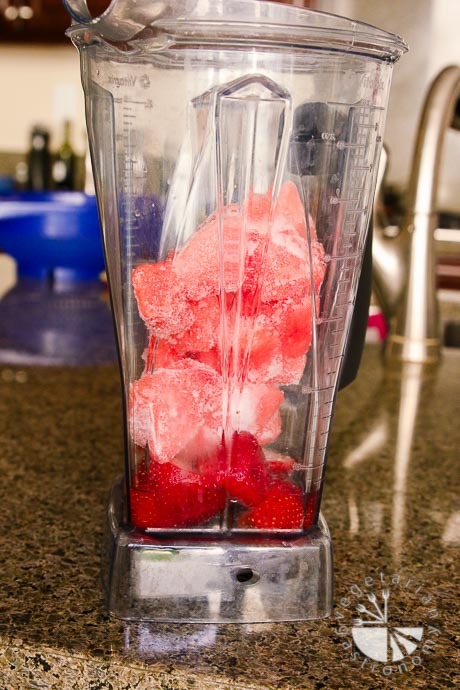 If you have a 'Frozen Dessert' setting on your blender, simply use that to blend, otherwise start blending on medium speed and work your way up to high. While blending, constantly push the contents of the blender down into the blades with a temper. Add more coconut water as needed to blend, but add as little liquid as possible to keep your freeze thick! Pour or scoop out into your favorite glass and and top with or swirl in Chia Seeds if using! 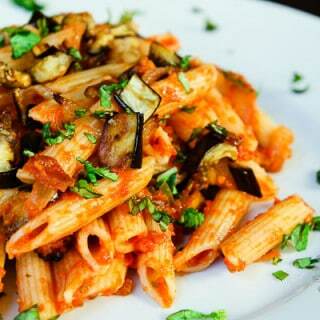 Serve and enjoy immediately with a spoon and straw!